Michael Tabor, Derrick Smith and John Magnier’s Taris rocketed past pacesetting Stonetastic at the three-sixteenths pole and drew off by 5 ¾ lengths to win the 30th running of the $300,000 Humana Distaff (GI) for fillies and mares. Trained by Simon Callaghan and ridden by Flavien Prat, Taris covered the seven furlongs on a fast track in 1:21.03 and became a millionaire in the process. Stonetastic led the field of nine through fractions of :22.19 and :44.95 with Super Saks in closest pursuit as Taris and Enchanting Lady raced in the next tier. At the head of the lane, Taris took dead aim on Stonetastic and dueled evenly with her for a sixteenth of a mile before drawing away. The victory was worth $178,560 and boosted the winner’s bankroll to $1,086,260 with a record of 13-8-2-2. It was the first Grade I victory for Taris and fifth graded stakes victory overall. 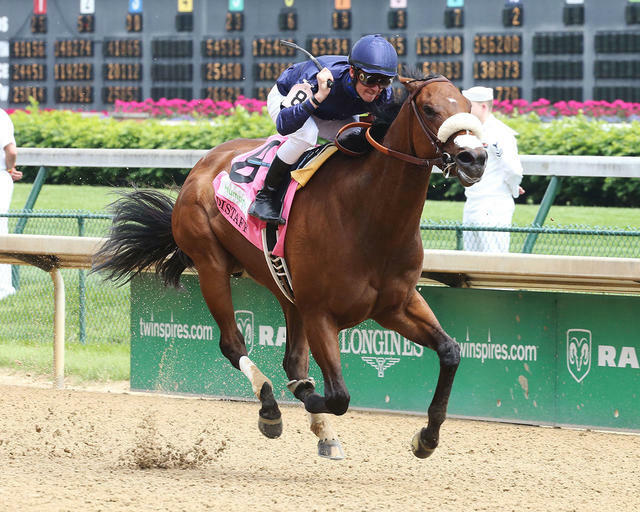 Taris is a 5-year-old Kentucky-bred daughter of Flatter out of the Theatrical (IRE) mare Comedy. Taris returned $8.40, $4.20 and $3.20. Stonetastic, ridden by Paco Lopez, returned $4.20 and $3.20 with Enchanting Lady finishing two lengths back in third under Javier Castellano and paying $3.80 to show. Wavell Avenue finished another half-length back in fourth and was followed in order by Birdatthewire, You Bought Her, Super Saks, Sarah Sis and Kathballu. Q: What went into the decision to cut back to seven furlongs? Paco Lopez (rider of Stonetastic, runner-up) – "My filly tried really hard. No real excuse. The other filly (Taris) beat me really easy." 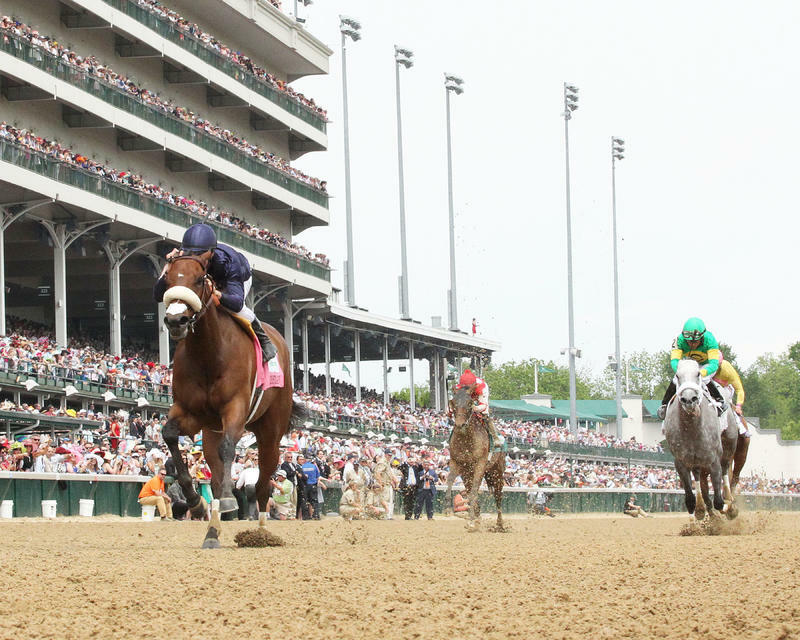 Javier Castellano (rider of Enchanting Lady, third-place finisher) – "I had the perfect trip. Those two horses (Super Saks and Stonestastic) went to the speed duel and even (Taris) was third outside. I just saved a little ground. Turning for home, I cut the corner, but I couldn't catch those horses." Joel Rosario (rider of Wavell Avenue, fourth-place finisher) – "It was a good trip. She was very comfortable and nice. A little bit on the backside she started picking up horses. They (early leaders) didn't come back. The filly who won the race (Taris) is a very nice filly too. My filly was trying and coming, but not today."